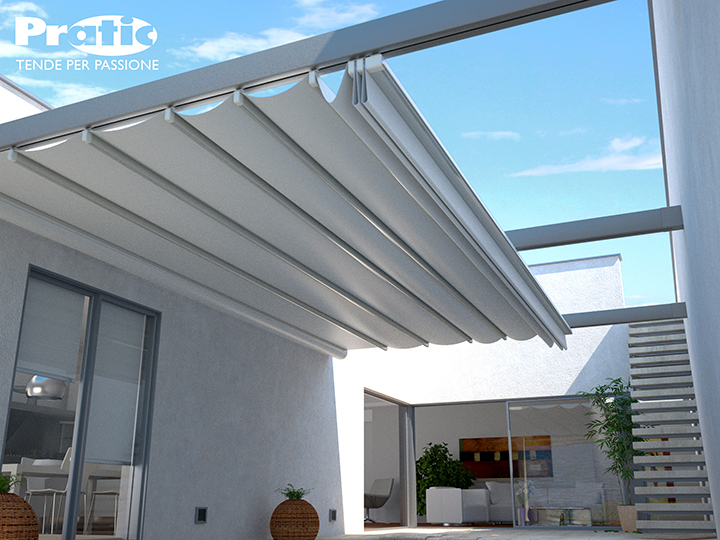 The TECNIC ONE Pergola® Awning system is our most popular heavy duty system for mounting to a wood structure or in between walls. It is ideal for medium to large sized residential and commercial installations where a structure allready exists. Since the unit is typically flat water is usually then draining to the sides. 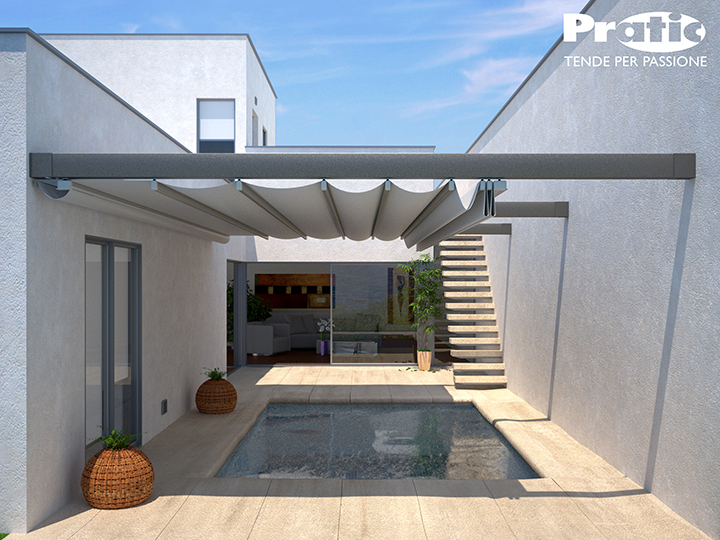 The TECNIC ONE Pergola® system is available with below configuration and options.